Everyone loves an extraordinary meal when they’re celebrating. 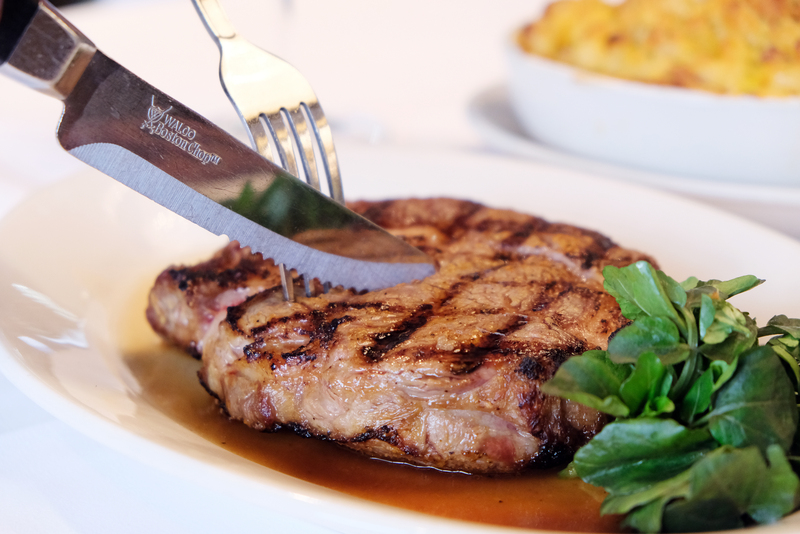 Whatever the occasion is – from birthdays to anniversaries to new jobs and to reconnecting with friends and family – head down to Morton’s The Steakhouse to splurge on your celebrations! Located in the luxurious Sheraton Hong Kong Hotel and Towers in Tsim Sha Tsui, the stylishly decorated restaurant boasts a stunning view of the Victoria Harbour. Your celebration will begin from the moment you start ordering your food: be prepared to receive a pre-customised menu just for you, with your name and a personalised greeting printed across the top. You can also enjoy an instant photography service to capture your special moments. Simply inform the restaurant ahead of time by including a special note when you make your reservation through Chope. Give your friends and/or lovers a surprise! Feast on the Center-cut Prime Ribeye – a top-grade beef with USDA certification — at this top-notch steakhouse offering superb American-originated cuisine. The dish features the finest American grain-fed beef that exudes a flavour so rich and complex it is hard to forget. The limited seasonal selections menu (available until April) is surprisingly delightful, and one of the best-value-for-money steaks would be the Nueske’s Bacon Steak with Sweet Mustard Glaze ($138). The thick-cut bacon steak is meaty and chewy, a complete opposite from our usually thin-sliced breakfast bacon. Most importantly, you get the sensational taste of the thick, sweet mustard glaze with every bite of bacon! Not only are the main courses impressive, the appetisers and sides are also must-tries! The premium Jumbo Shrimp Cocktail was literally JUMBO in size. The shrimps were perfectly fresh and firm to the bite, making it a very tasteful appetizer. Likewise, considerably the best comfort food and side-dish, the Mac and Cheese is prepared with four different types of cheeses: Cheddar, Parmesan, and more. Any celebration is not complete without desserts. The restaurant will prepare a souffle (it’s a complimentary gift for you!) whenever you book for celebrations. What’s more, it’s a chocoholic’s dream come true with ice-cream and raspberries served on the side. The signature Morton’s Legendary Hot Chocolate Cake is definitely the ooey-gooey perfect ending to your meal!